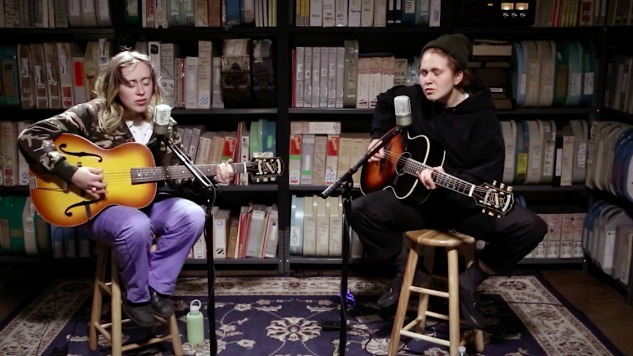 Paste Sessions: Watch Girlpool Perform "It Gets More Blue," "123" and "Powerplant"
Bedroom-pop duo Girlpool joined us at Paste Studio to perform three new tracks from their sophomore effort, Powerplant. Up first, Cleo Tucker and Harmony Tividad performed album single “It Gets More Blue,” followed by “123” and the record’s title track. “Like how something pure can be marketed,” concurred Tucker. Watch Girlpool’s full performance below.